We interviewed Leandro – a worker at Petrobras in Duque de Caxias, Rio de Janeiro – early this week to ask him about the strike and its broader significance. How has Petrobras been affected by the economic crisis and the corruption scandals? Petrobras has been both affected by the economic crisis and has contributed to the economic crisis in Brazil. The main problem Petrobras is facing is due to debt from an excessive investment plan the last few years. That investment plan has been questioned because a lot of the expenses were bigger than necessary and they were related to the corruption scandals. So there’s a huge debt problem in Petrobras combined with a hike in the dollar price against the brazilian currency — the real — which makes the Petrobras commercial deficits worse because Brazil imports parts of the oil it consumes. And another problem for Petrobras is the price of oil, which is at a record low. It’s a perfect storm hitting Petrobras: corruption scandals, debt crisis, currency problem, and a record-low oil price. Combined, that has put Petrobras in a difficult situation and has been used by the government – by Dilma’s government – to cut workers’ benefits and salaries and to put forward her idea of privatization. Which union represents Petrobras workers and what role does it play in the workers’ movement? What is its relationship to the PT? Petrobras workers are deeply divided. First, there’s a big division between Petrobras contract workers and official Petrobras workers. At Petrobras, we are 72 thousand workers and an estimated 200 thousand contract workers. Those 200 thousand contract workers are divided into hundreds of unions. Official Petrobras workers are divided into seventeen local unions. Those seventeen local unions are also divided into two federations. The larger one, Federação Unica dos Petroleiros (FUP), represents twelve of the seventeen unions. And there’s a smaller one, Federação Nacional dos Petroleiros (FNP), which represents the remaining five. 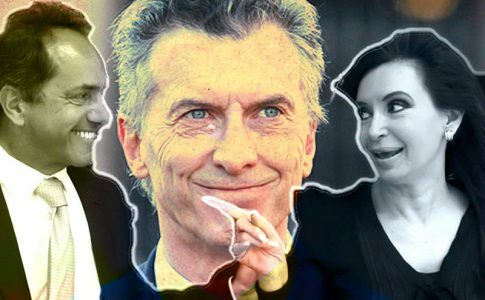 FUP is deeply connected to the PT; it has appointed directors and managers in the company since the PT became the government, and it defends the PT, openly defending the government even during this privatization process. What are the main demands of the strike and how did it start? How has the bureaucracy attempted to lead the strike and what kind of actions have rank-and-file workers taken? It’s still going on. The two main objectives during the strike were to denounce the privatization process and to maintain workers’ rights, because the company wanted to reduce a lot of social benefits and refuse to raise wages with inflation. Right now, eight local unions are still on strike: three of them disrespecting FUP’s command to stop the strike. The strike has gone on mainly to get on paper the promise of no punishment for the strike, since there have been a couple of radical actions during the strike (ie., factory occupations), and to get the strike days paid. FUP tried to end the strike last Friday, but five local unions defended that the workers did not end the strike. My local union was defeated in that general assembly on Friday, but with the management’s help, with a lot of scabs in Monday’s assembly, they managed to end the strike. 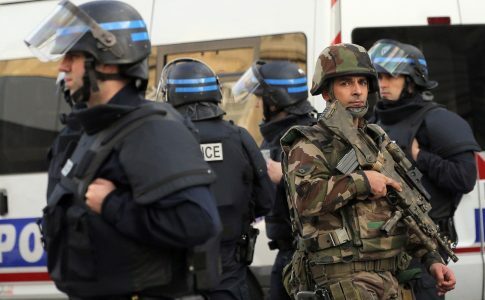 The same thing happened in Serra, a northern state of brazil, where the FUP leadership was defeated by the local on Friday and Saturday, but on Monday they ended the strike as well. So, there’s been sort of an anti-bureaucratic rebellion in some of FUP locals, but the general tendency is to end the strike – with the company and FUP working together to end the strike. This has made a lot of workers question the union especially, but also the PT’s role in the company and privatization. What kind of reactions to and participation in the strike have you seen among your co-workers? Workers’ participation in the strike has been much greater than it was in the last oil workers’ strikes. This has been the longest, affecting more areas, with more participation: it’s the strike with the most participation since 1995. It wasn’t as radicalized as in 1995, nor as massive. The pickets were usually somewhat small. Most workers went on strike but didn’t participate much in day-to-day decisions. Some areas had some radicalized actions, as in the northern city of Macae, RJ. Here, the terminal was occupied by the workers for about ten days. There were some platform oil rigs that were occupied as well. The participation wasn’t as great, as I pointed out, but it could be seen how much bigger the participation was compared to previous strikes. Has there been a substantial change in the consciousness of Petrol Workers over the last few years? The oil workers’ consciousness is clearly evolving and fast. 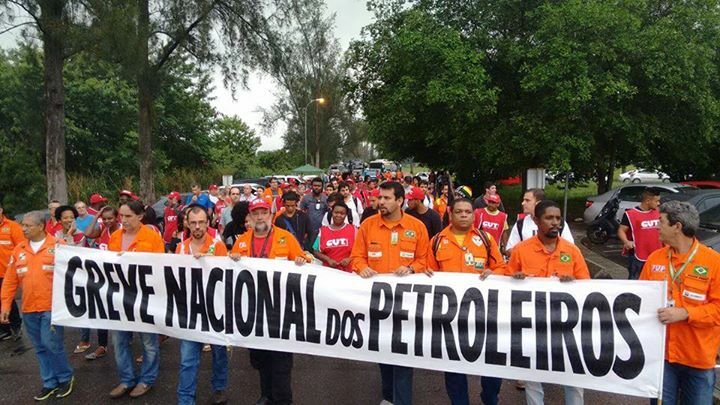 Oil workers, as I’ve said, were probably the most PTista (PT supporter) section of the working class in Brazil. And it’s quite impressive to see a strike that has as one of its demands to denounce the likely privatization of Petrobras by the PT’s government. So it’s quite impressive. But what could be seen the most in the strike was not that consciousness against the government, which appeared somewhat – kind of mixed between consciousness against the government and critical, not very much against necessarily – but a widespread discontent with the labor bureaucracy for abandoning the strike. What is the likelihood of the privatization of Petrobras and how are workers reacting to that possibility? 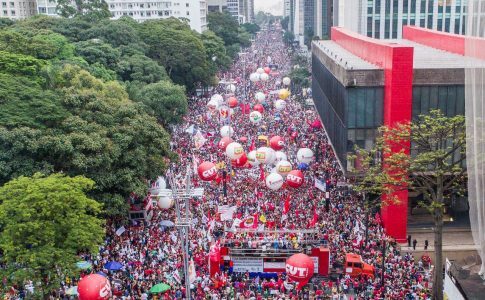 If the workers don’t organize once again in a stronger, more unified, more radicalized strike with the support of other sections of the working class besides the oil workers, in all probability a big chunk of Petrobras be privatized. It’s written on the company’s balance – the plan to sell assets worth 16 billion dollars next year and other assets worth 41 billion dollars in 2017. That sum of approximately 57 billion dollars is around 40 percent of the company’s total assets. So 40 percent of the company will be taken away. And it won’t be sold in stocks. They will sell it part by part, they’ll get rid of parts of the company. That’s the plan that is written down. 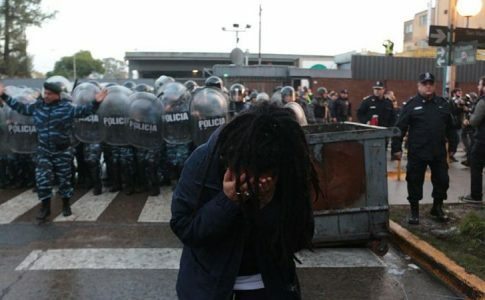 Workers are violently evicted from an occupation by the Macri government in defense of the US corporation, PepsiCo.